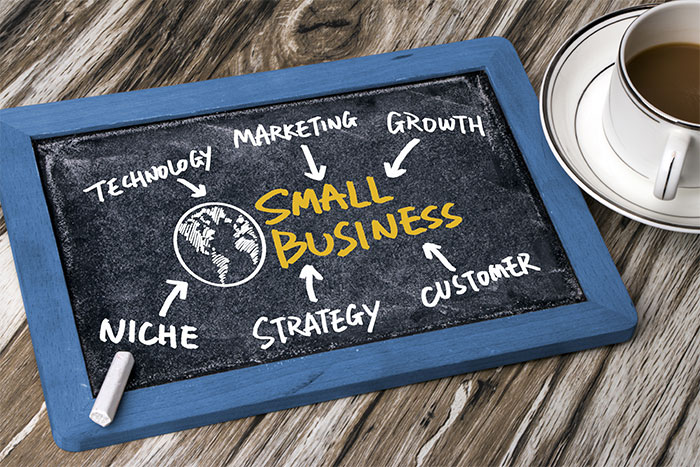 Running a small business presents a unique challenge. On the one hand, you don’t have the overhead of many large businesses and can therefore offer more personalized and tailored services. Conversely, however, many potential clients may not want to work with a “fly-by-night” operation. The challenge, then, is to present yourself as a competent business, capable of handling all of their needs. Here are 4 ways to project a professional image while still keeping your overhead low. While it is certainly easier than ever to work from a home office, that doesn’t always inspire confidence in your business if you actually have to meet with clients. Using a co-working space accomplishes many things. It gives you an actual street address to use that is not your home or a post office box. Most co-working spaces offer amenities like conference rooms and training rooms where you can meet with clients, conduct interviews or even hold staff meetings. Many co-working spaces have a number of plans that range from your own small suite of offices to just a single desk. No matter what type of business you run, it can be helpful to offer round-the-clock customer service. A VoIP call center can offer professional customer service agents at a fraction of the cost of hiring a single individual. Even if you have a slightly larger business, VoIP call center solutions can help cut down on the time your regular employees need to spend helping customers, so they can actually do their jobs. This in turn can help you actually grow your business. Most people these days dread having to call any business on the phone or conduct any business on the phone. One of the best things about the internet is that you can quickly and easily accomplish any number of tasks without having to sit through annoying phone trees, get disconnected or listen interminably to elevator music. Imagine if every time someone called your business, they were immediately connected to a live voice. Best of all, you never have to worry about calls going unanswered because your receptionist is busy with another call. With the advent of website templates, it has never been easier to build your own website. Just drop in a few stock photos, add in some informational details and you can be up and running in no time flat. Just because you can, however, doesn’t mean you should. Remember that your business is more than just a business, it is a brand and the goal of your business is not just to sell a service or product, it is to create connection. Think of your brand as the personality of your business. Everything from your logo to your marketing materials to your website should all reflect the personality of your brand. That’s just not something you can accomplish with stock photos.